Remember When Brendon Urie & Patrick Stump Were Part Of This WILD Coca-Cola Campaign? This is genuinely the best thing ever. You know when you stumble upon something so utterly wonderful that you just have to share it? Well, back in 2009 Coca Cola launched their Open Happiness campaign. Music played a big part in the rollout and with the introduction of the slogan came a very catchy, very lovely song featuring Panic! At The Disco's Brendon Urie, Fall Out Boy's Patrick Stump, Travie McCoy, Cee Loo Green AND Janelle Monáe. And the video is EVEN better. 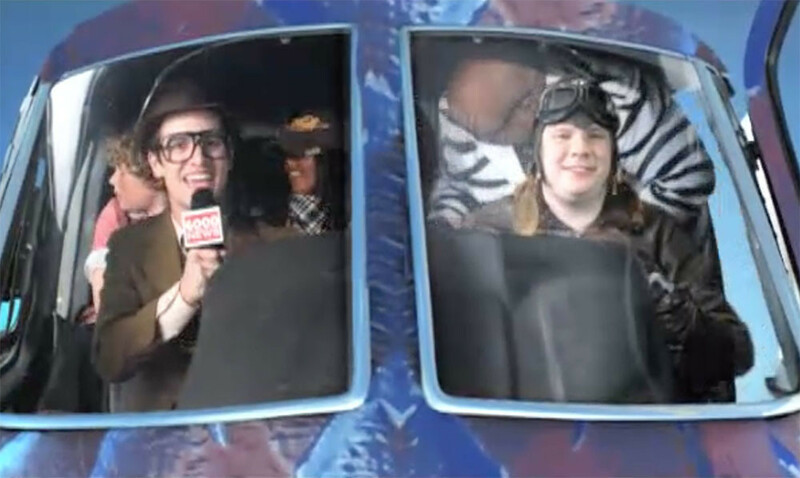 To make a long story short, Brendon plays a news reporter spreading the word of happiness, with some seriously wild dance moves, while Patrick is the PILOT of a FISH HELICOPTER.